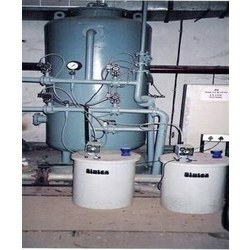 We have in our store, Water Softening Plant that are used for the treatment of water. Its advanced acidic caption exchanger removes hardness from water and makes it suitable for use. Due to its sturdy design, these Water softening plant is highly efficient and widely used for various industrial purposes. Unbelievable price on Water Softening Plant in New Delhi (India) company Watco India, Private Limited.